Product Description: The feeling of speed, the riding and whizzing from one station to another provides great pleasure for young and old. The pendulum seat introduces children to rotary motion and develops their balance and upper body strength. 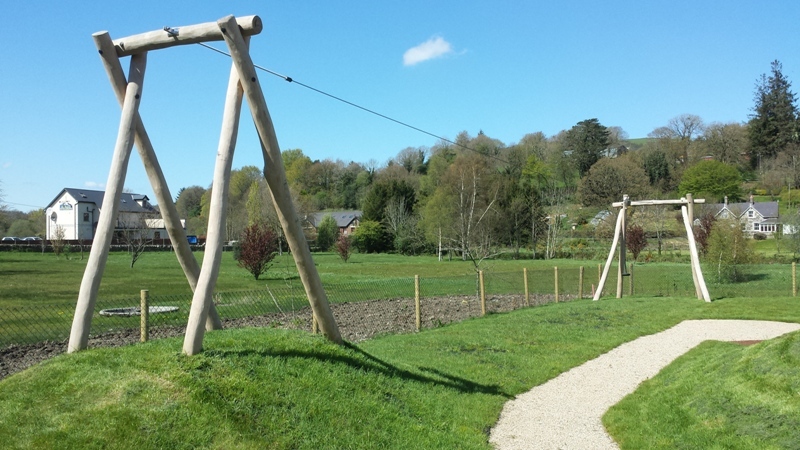 The design of this cable way, using natural wood, allows for imaginative play as children pretend they are zipping through the forest and trees.